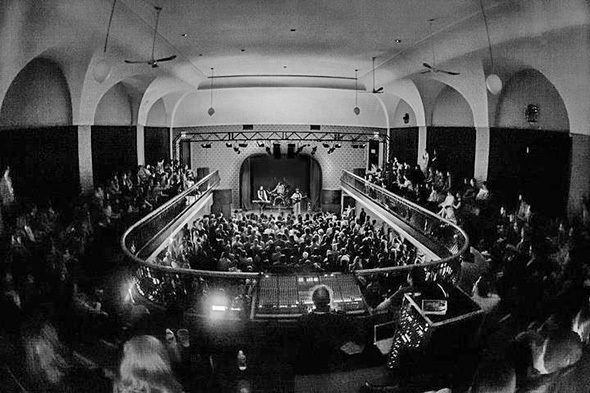 According to a petition being circulated by the owners of The Great Hall, the fate of the historic venue will be decided this summer by whether or not they are granted a significant capacity increase by the AGCO. As anyone who has attended an event there recently knows, the current official capacity for the main hall is so small that it feels empty even when it's legally full. However, if the application for the increase fails, it's still unlikely that the space could be easily turned into yet another condo tower, as the building received its heritage designation way back in 1973, which would be a major roadblock for developers. 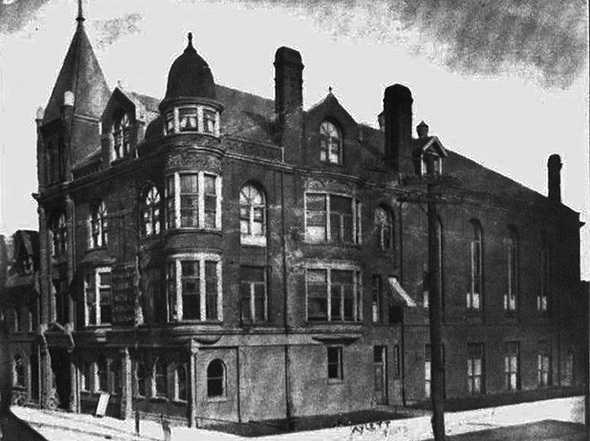 The hall's current focus on music was a relatively recent development, although it did host a concert by local musicians the very first night after it officially opened in 1890. Originally it was constructed to house Toronto's West End YMCA, and was bankrolled by Samuel J. Moore, a businessman who'd made his name making books of carbon paper sales slips. His name also provided the name for the short-lived restaurant on the first floor that has now become the Bristol. The ornate building was designed by architecture firm Gordon and Helliwell, who were also responsible for building many churches throughout Toronto and surrounding areas. Originally it featured a swimming pool in the basement (some traces of the deep end still remain), a gymnasium, a bowling alley, a library, and a raised running track. First Nations marathon runner Tom Longboat worked out there, and would go on to win the Boston Marathon in 1907. It was also the site of some of the earliest basketball games ever played. 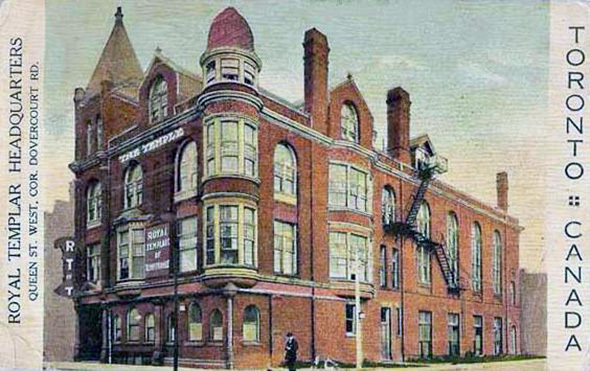 In 1912, the YMCA moved to College and Dovercourt, where it continues to operate today. Anti-alcohol fraternal organization the Royal Templars of Temperance took over the space after the YMCA moved, and renamed it the Royal Templar Hall. During this period it was used for a wide variety of purposes, including political speeches, entertainment, and even a seance conducted by a psychic. The Royal Templars' battle against booze would not be successful. The Polish National Union purchased the hall in the 1940s, and set up printing presses to produce the Polish Voice newspaper. During wartime, Polish refugees were housed on the upper floors, and the building continued to be central to Toronto's Polish community until the mid-80s, when it turned into a hub for the city's artistic scene. Tenants over the next decade included avant-garde music organization the Music Gallery, visual art gallery YYZ, the Theatre Centre, the Toronto School of Art. 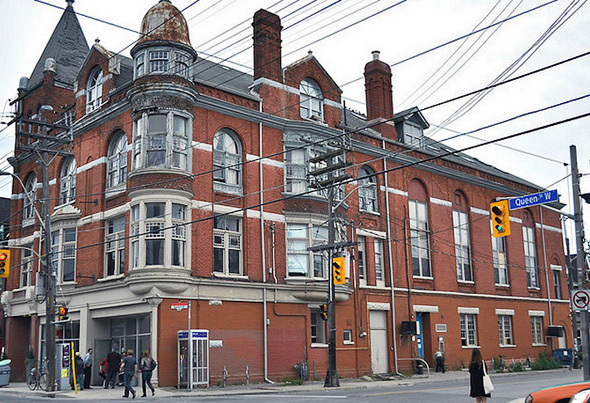 It also hosted afterhours parties, early house music events, and even an early Toronto appearance by Sonic Youth. By the end of the 90s, it was more well known as a rental hall for private events than a cultural space, although mixed in with the weddings and corporate functions there were still some quirky offerings, like the OCAD Sumo Robot Challenge. Time was taking its toll on the building though, and the main hall was not really set up to be a proper concert venue. The Great Hall has experienced a revival in recent years, after Wrongbar owner Nav Sangha took over the space in 2011 with help from The Lakeview Restaurant's Alex Sengupta and Fadi Hakim. The basement space was renamed the Blk Box Theatre, but currently gets very little use due to the lack of a proper liquor license. 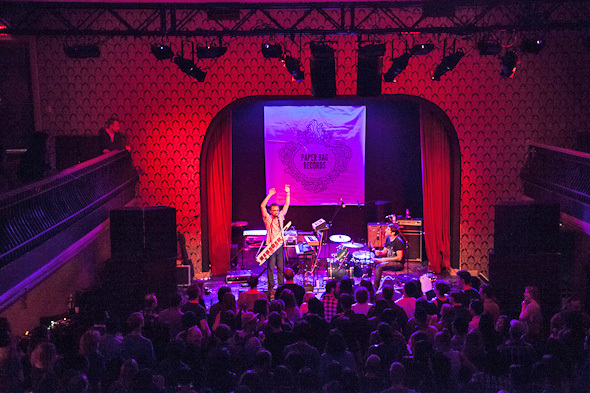 The restaurant on the main floor recently became a pub called the Bristol, and the main hall continues to host a diverse variety of events, from multi-media concert series like Long Winter to offbeat events like Art Battle. If the Great Hall doesn't manage to get the capacity increase they're looking for, it's unclear what the future will hold for the space. Will the ghosts that are said to haunt the hall want to stick around if it becomes a fancy furniture store?